People have been using leftover and “bad” food to create amazing meals, snacks and drinks for as long as we’ve been cooking. Think of a spotty and browned banana - it loses some appeal to be eaten as is, but it’s now the perfect ingredient for delicious banana bread! In fact, banana bread and similar treats actually favour browned bananas due to their increased sweetness and less starchy texture than when completely yellow. Past the banana example, however, it can be hard to think of other well-known uses for leftover or over-ripened fruits and vegetables. That’s why I’ve gathered five creative ways to turn kitchen scraps into yummy snacks and dishes! Read on below to be inspired and let this list be the kick-start for your sustainable cooking adventures! 1. Flavour bomb your soup with hard cheese rinds: There’s something quite unnerving about grating the last bit of Parmesan - one small slip of the hand and you can be in for a fair bit of trouble! Luckily you can utilise that last bit of cheese in a new way - to dial up the umami flavour in your next soup! 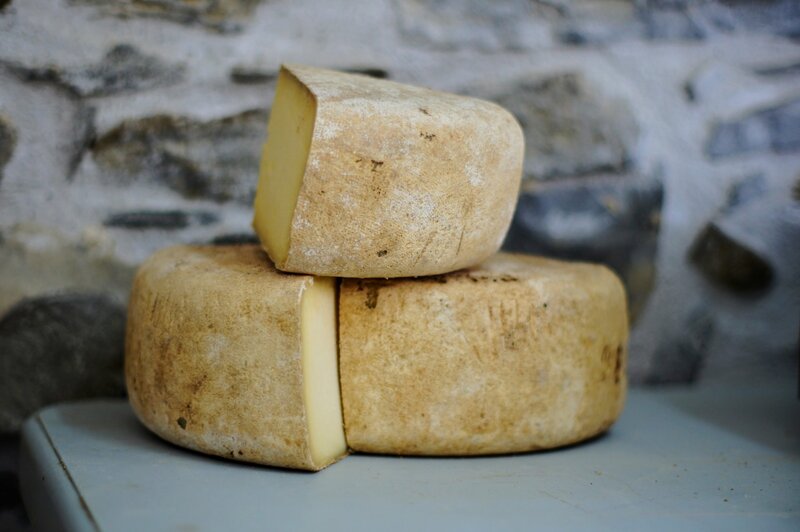 Simply save the rind of any hard cheese (parmigiano-reggiano, pecorino, romano, asiago etc.) and chuck it into a pot of soup as it’s warming up. Any extra cheese will ooze right off, and if the rind doesn’t completely melt away you can fish it out with a slotted spoon. Some great soups to try this with are tomato, roasted red pepper, and minestrone. 2. Sauté broccoli stalk for a stunning stir-fry: For some reason I always thought that the only edible part of broccoli was the crown (the little green buds at the “head”). I would always mindlessly chop off the thick stalk and compost it, never thinking twice that it could be used for anything good. Turns out I was dead wrong. 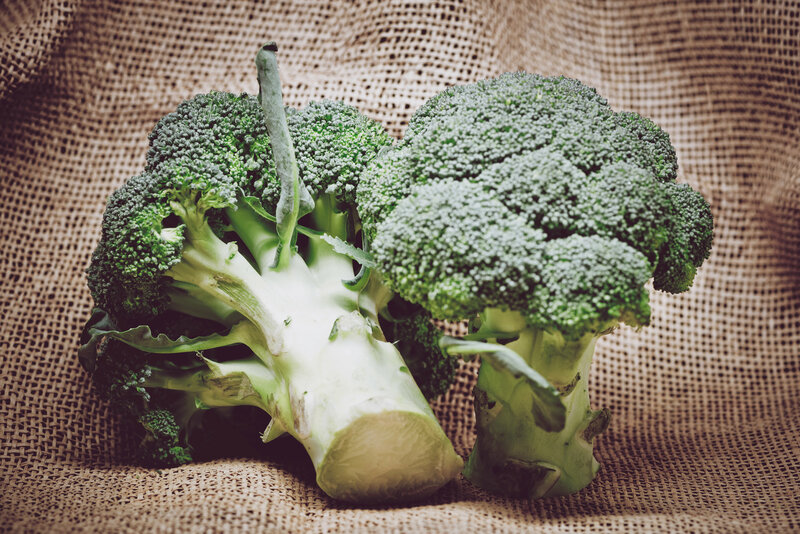 The broccoli stalk is just as versatile as the crown, and it even has more fibre and a slightly sweeter taste! To use broccoli stalk in your next recipe all you have to do is chop it on the thin side (akin to how you would chop carrot) and cook it for longer than you would the crown. Check out this Broccoli Stem Stir Fry recipe for a great step-by-step introduction on how to use this “leftover” ingredient! 3. 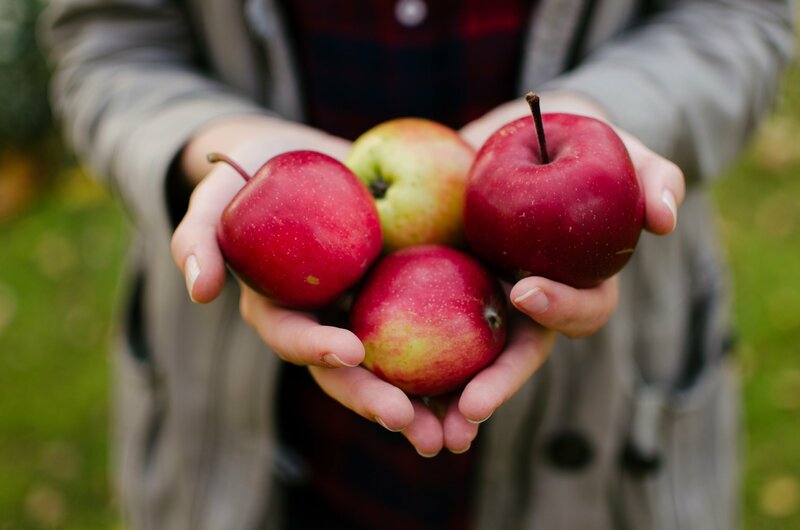 Crisp up apple peels for a healthy snack: If you’ve ever had to peel apples for a pie, crisp or crumble you can attest to the sheer mountain you accumulate. Packed with vitamins and fibre, you can now turn those peels into a tasty baked snack - perfect for a cozy winter day! The method is simple: take your apple peels and toss them in a light coating of melted butter, sprinkle with a little salt and cinnamon sugar and spread them out on a baking pan. Roast at 205°C (400°F) for about 12 minutes, let cool and give it a final toss with more cinnamon sugar. For a more detailed recipe check out this great article from TheKitchn. 4. Turn stale bread into croutons in <15 minutes: Probably the OG of kitchen scrap-to-snack transformations is the crouton. 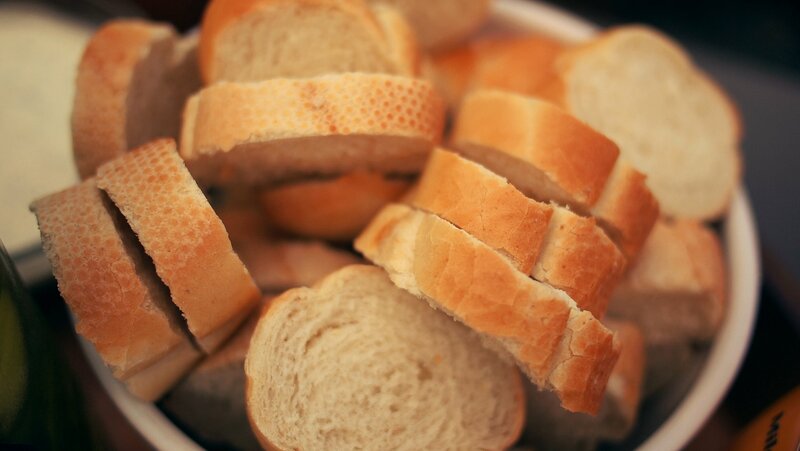 Take any stale bread (although crusty breads do best), and chop or tear it into bite-sized pieces. Spread the pieces evenly on a baking tray, drizzle with olive oil and sprinkle with salt, and place it in a 190°C (375°F) oven for 10 minutes (tossing halfway through). Depending on the size of your croutons you may need a little more or less time so be sure to use the halfway toss as a checkpoint to see how things are going. Use these crunchy accompaniments to sprinkle on soup, top off salads or eat on their own as a cheeky snack! 5. The ultimate veggie scrap stock: Creating homemade stock is one of the easiest ways to up your cooking game. It takes very little effort, tastes WAY better than store-bought varieties, and is the perfect complement to a lazy Netflix-filled Sunday. One super easy way to make vegetable stock is to use a collection of leftover bits of vegetable that we tend to throw out, like the skins and ends of onions. 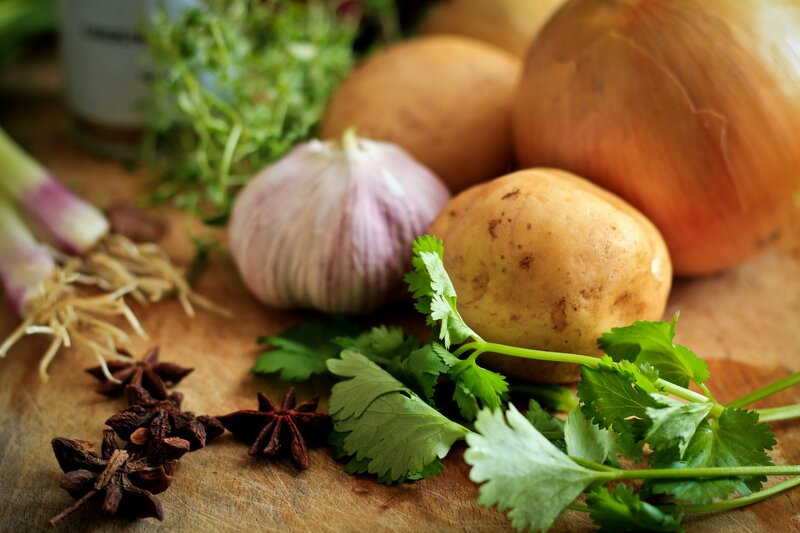 The best veg to use in this homemade stock are: carrots, celery, leeks, potatoes, peppers and squash, and the stalks from fresh herbs like cilantro, basil, parsley and dill. Avoid collecting vegetables in the cruciferous family (i.e. cabbage, broccoli, cauliflower, brussel sprouts) as they will make your stock quite bitter. A great method to collect these leftover odds and ends is to keep a large tupperware container, or sealed plastic bag, in the freezer where you can always toss in veggie scraps from meal prep. Once you have a sizable scrap collection, about 4 cups worth, you can throw them in a pot of boiling water for a few hours, add some spices, drain, and voilà - stock! For a more detailed guide on the process check out this article.